Impressive .20 inch thick high carbon steel blade is 7 inch in length. A high quality leather sheath in included. 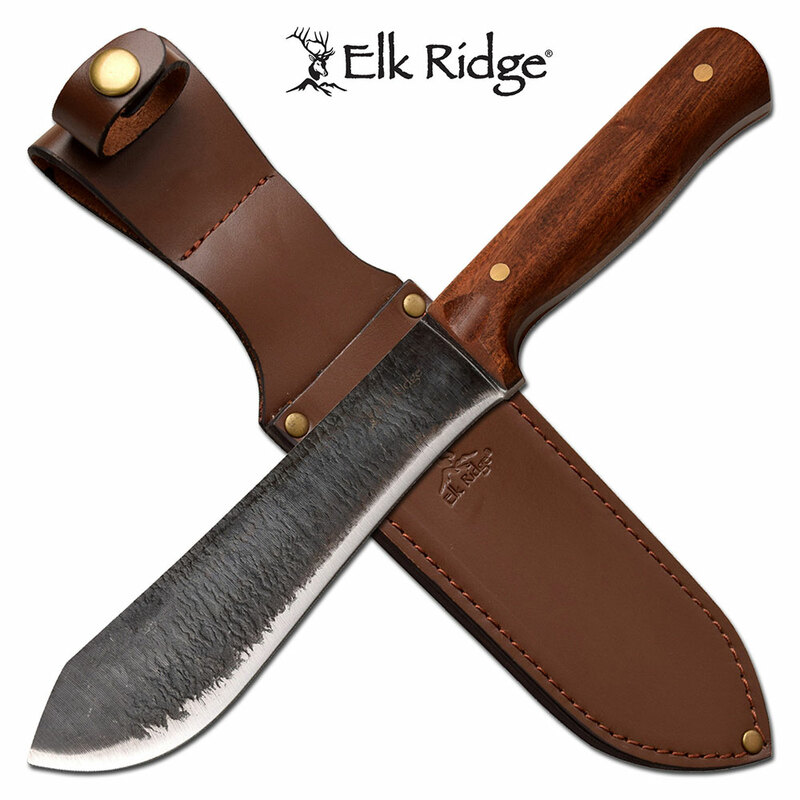 A very cool cherry wood handle fixed blade hunting knife made by famous hunting knife manufacturing company Elk Ridge. This knife is a large size full tang construction hunting knife. The impressive .20 inch thick high carbon steel blade is 7 inch in length. A high quality leather sheath in included.